​Leicester City goalkeeper Kasper Schmeichel has admitted that he is incredibly proud of everyone involved at the club after The Foxes secured an emotional 1-0 victory over Cardiff City, in what was the club's first match since the tragic death of chairman Vichai Srivaddhanaprabha. Srivaddhanaprabha was one of five people who lost their lives in a devastating helicopter crash in late October. Striker ​Jamie Vardy recently spoke of the squad's desire to earn a victory against Cardiff in honour of Srivaddhanaprabha, and Demarai Gray's 55th-minute winner proved to be an emotional tribute to the man who helped transform the club. 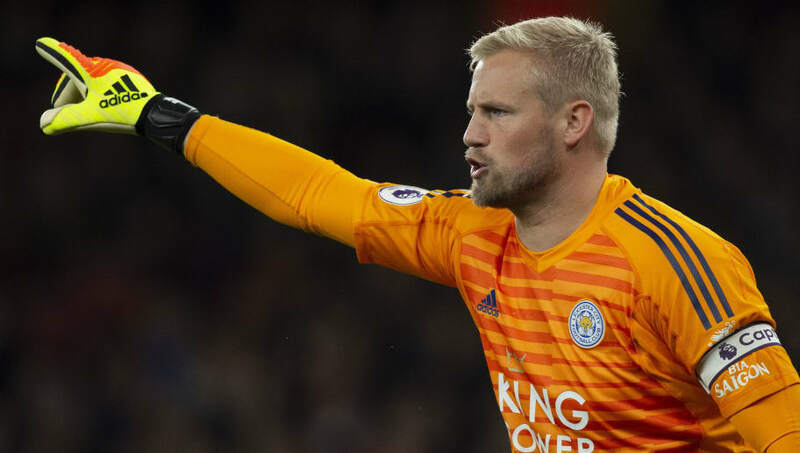 Speaking to ​BBC Sport after the game, ​Schmeichel, who was seen crying during an impeccably-observed minute's silence before kick-off, admitted that it had been a tough match for everyone on the team. He said: "I am glad we got three points for him. Coming out for the warm-up was tough. The first 10 minutes I couldn't steady myself, I was shaking a little bit. "That was a tough game, not just on the pitch but mentally. "There are a lot of exhausted people in there now but I am proud of this team and the club. The way everyone has handled themselves has been unbelievable. "It has been hard. We have tried for a few hours a day to be professional and train hard, but everyone wanted to play and win for his family. His family have been strong, [with] the courage they have had. "I feel just an overwhelming sense of pride of being part of the family that Vichai built and the extended family of ​Leicester City." The entire squad is now travelling to Thailand for Srivaddhanaprabha's funeral, and Schmeichel admitted that the players were desperate to attend the ceremony and pay their respects. He said: "You couldn't ask for a better chairman. There are few people who come along in this life that have an impact on you. "He had that on me and so many people, and the outpouring of grief around the world shows that.